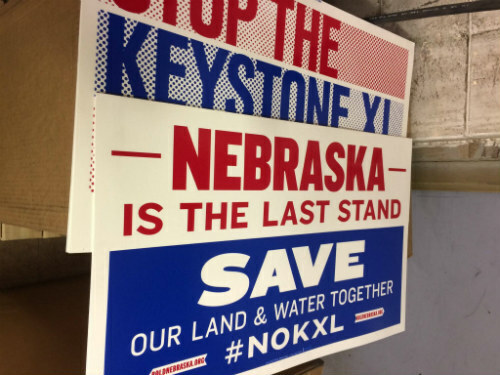 After heeding our calls to provide more opportunities for the public to make our concerns heard about the Keystone XL tarsands export pipeline, the Nebraska Public Service Commission will hold a second “public meeting” tomorrow — Wednesday, June 7th (12:00 p.m. – 8:00 p.m.) in O’Neill, Nebraska. At the meeting, members of the public can give testimony about the pipeline that will be included in the official PSC record for consideration of TransCanada’s permit application. Public Testimony: 1:00 p.m. – 8:00 p.m.
RSVP: Sign up to let us know you’ll stand with us. PREPARE: Check out our KXL Fact Sheet for tips on preparing your testimony. SHARE: Click “Going” on Facebook and share the event with friends. 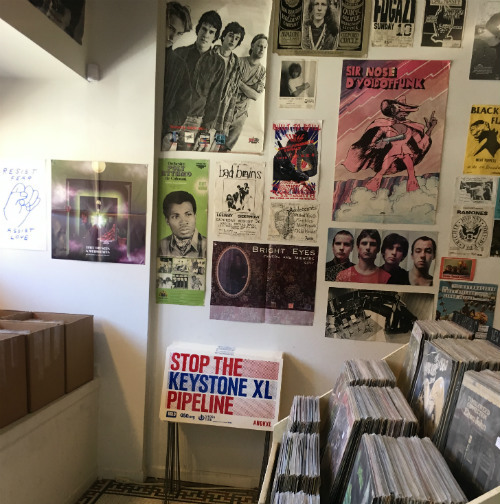 We still have no confirmation from the PSC of any specific date or time to take public comment during its scheduled August 7-11 intervenor hearings on Keystone XL in Lincoln, NE. So it’s critical that as many Pipeline Fighters as possible join us tomorrow in O’Neill. If you can’t join us to testify tomorrow — show you stand with us by submitting a comment to the PSC with your concerns about Keystone XL. The “intervenor” proceedings in Lincoln in August will be open to the public to watch, but participation is limited to individuals or organizations who applied to the PSC to become intervenors — including nearly 100 landowners on the KXL route, the Ponca and Yankton Sioux Tribes, Bold Alliance, Sierra Club, 350 and around 30 other individual Nebraskans. The best way to make sure your voice is heard, and that you are counted standing with us, is to submit an online comment now to the PSC. Get ’em while they last! We have set up distribution spots for our new limited supply of yard signs in Omaha, Lincoln, Hastings, Neligh and Atkinson. Please show your appreciation to the individuals and local businesses who are helping out!